• Prolific jazz composer, bandleader, piano and synthesizer player, poet and philosopher known for his "cosmic philosophy," musical compositions and performances. • Extremely innovative musical and performance styles. 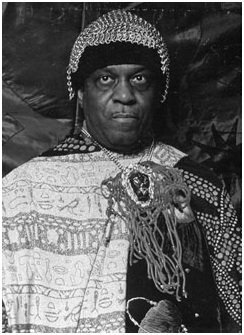 • YouTube: Sun Ra - Over 5,000 videos on YouTube listing of SunRa - much of it is his music, but some of it focuses on his world view.